While we are fans of Mobile Apps and there Push Note Technology with a 97% open rate, Email Marketing still plays an important role for disseminating information to your audience. 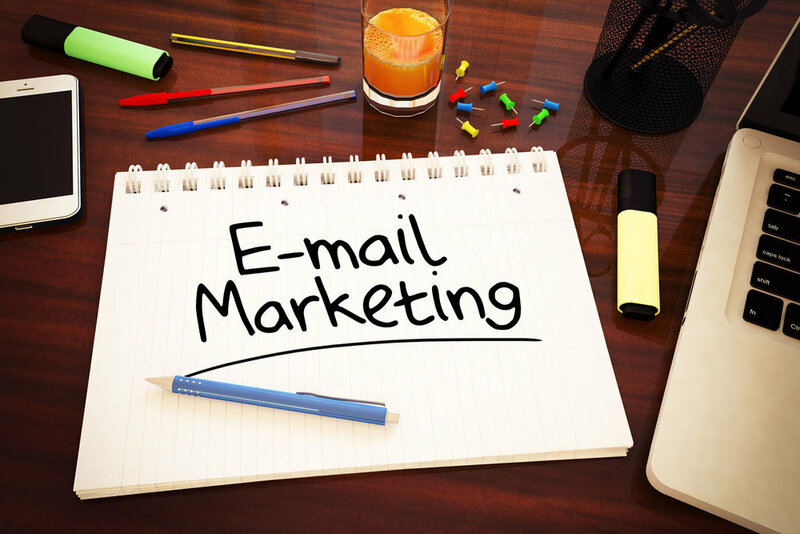 Email marketing is the cornerstone of many marketing programs. It can make engaging with and retaining customers much easier with high-powered tools like automation and personalization. And using mobile-friendly email templates ensures that no matter what device your customer uses to view them, your emails will always look great. Campaign Monitor has created an infographic, 24 Email Marketing Stats You Need to Know to help you understand just what value email marketing brings to a small business. For example, for every $1 spent, email marketing brings in $44; for one of the highest ROIs of any marketing tactic. A high ROI is fantastic, of course, but with a powerful marketing tool like this, there are even better reasons for email marketing. By using an email service provider, you can create emails that are personalized for each customer, helping them to connect with your business. The more your customers engage with your business and emails, the more likely they are to purchase from you. Emails with personalized subject lines are 26% more likely to be opened. And personalization doesn’t stop at the subject line. You can add images and content that are specific to each reader to keep them interested in what your business offers. The more you can send emails that your customers want to see, with information that they’re looking for, the more likely they’ll stay your customer. Using data you already have about them can help you to personalize emails a little bit more. Keeping your data updated, by using signup forms or surveys, can help you collect the information you need to do this. Automation, creating a series of emails once and sending them out automatically when certain criteria are met, can help keep customers coming back for more. Sending out welcome emails, reminder emails, VIP emails, or even birthday emails can help to hold your customer’s attention, and lead to sales. As a matter of fact, automated emails can generate 320% more revenue than non-automated ones. Using automation and personalization together can make marketers lives a little easier since they need to only create an email once to have each person get the version they need, and sent when they need it. Since email open rates increased to 68% on mobile devices in 2016, it’s important to make sure your email can be read on any device. Just about everyone has a mobile phone and reads their emails on it these days. The easiest way to do this is to use a template that’s already set up to work on mobile devices. This way no special coding is needed and your customers will have an easy-to-read and useful email. Plus, you’ll still be able to use personalization and automation, the end device won’t change how they work.